Our graduates work at Volt Information Sciences, Putnam Museum, National Park Service, Rock Island Arsenal, Tinley Park High School, and others. 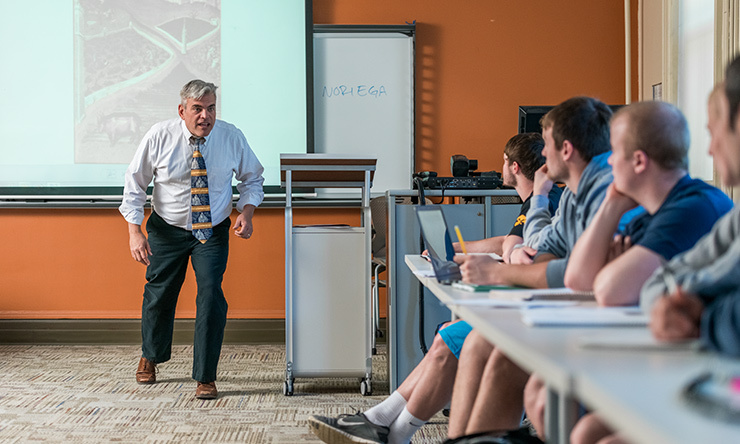 A major in history at St. Ambrose means you will work closely with professors and learn to analyze problems and develop solutions, skills you can apply to the past, present and your future. The SAU History Department hosts the annual History Day for area middle and high school students. 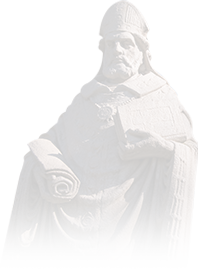 We also have something pretty unique: our own Academy for the Study of Saint Ambrose of Milan, which promotes and supports scholarship, research, and creative work about the University's patron saint. This is a collaboration between SAU and the Academia Ambrosiana of the Biblioteca Ambrosiana in Milan, Italy. 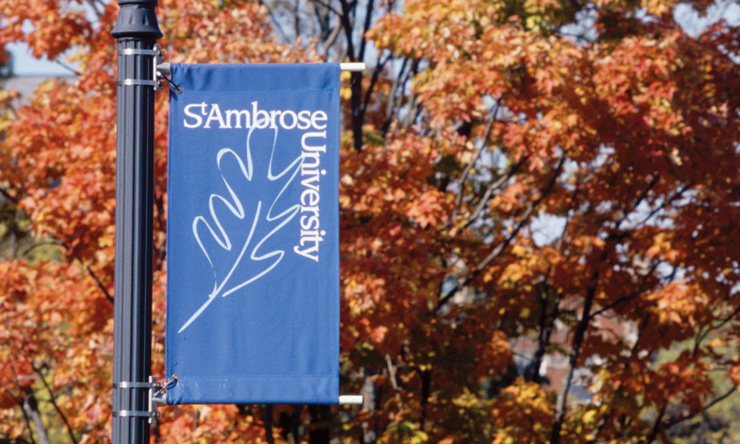 At St. Ambrose, you will learn the specific skill of historiography – which is not always taught at larger universities but is definitely needed for grad school. Here, your education will focus on both content and writing, research and critical thinking – skills you need to succeed professionally and personally. To round out your History major, consider a minor in Museum Studies. A recently-added program, the Museum Studies minor is valuable if you want a career associated with museums, historical societies, archives, libraries, or auction houses. SAU is one of only a handful of Midwestern institutions that offer this minor! How can I build on my experience outside the classroom? Attend a lecture, activities, or study abroad. An endowment honoring Professor Emeritus Richard E. Geiger gives you all of these opportunities. Dive into our Irish Studies Collection, which includes 2,200 titles on Irish, Irish American, and American Catholic life. Join the History Honor Society and enjoy guest speakers, conferences, learn about professional opportunities, and participate in an annual service project. Students with a GPA of 3.1 or higher and 12 history credits can be eligible to join. We also have an active Art History Club comprised of students interested in history and art history. Participate in National History Day and hone your skills in critical and creative thinking, research and analysis, communication, problem-solving, and more. Explore the Quad Cities. It's a well-established, vibrant community with archives at area libraries as well as living historians through the Scott County Historical Society and German American Heritage Center. We have strong partnerships with more than 15 agencies that specialize in art, history, and heritage, and offer you practical internship experience. Many of our students also take advantage of study abroad trips. Professional historians work in museums and media centers, conduct research for businesses or public agencies, or as a historical consultant in a variety of industries. Most history majors use their education for broad professional purposes. Your investigative research and writing skills are directly relevant to careers in business, teaching, political leadership, law, journalism, information science, and public administration. Austin Carlson '16 was accepted into the University of Iowa College of Law with a scholarship and honors. Breanna Neubauer '12 triple-majored in history, English, and philosophy. She is a documentation specialist at Baxter International, Inc., a healthcare company that develops, manufactures, and markets medical devices, pharmaceuticals, and biotechnology. Laura Craft '10 triple-majored in history, women and gender studies, and sociology, and studied abroad at University of Hyderabad (India) and University of Botswana. After graduation she volunteered with the Peace Corps and then worked in the Philippines for Children, Youth, and Family Services. She currently is a park ranger with the National Park Service at Lassen Volcanic National Park in Mineral, Calif.
Anna Turner-Scott '06, '09 was a mother of two while taking classes for a bachelor's in history and a Bachelor of Education. Today she works at Digital Pathways, an archival service contractor that serves the Rock Island Arsenal. Education courses required for certification are listed in the Education section of the catalog. Students must maintain a 3.00 GPA in History with no grade lower than a C.
This is the suggested plan of study to graduate in four years with a degree in History. This plan assumes the student has not fulfilled the foreign language requirement (three years of high school foreign language).